The following are campaign materials for the STC Elections coming up in March. These materials have been sent to our chapter by the candidates. 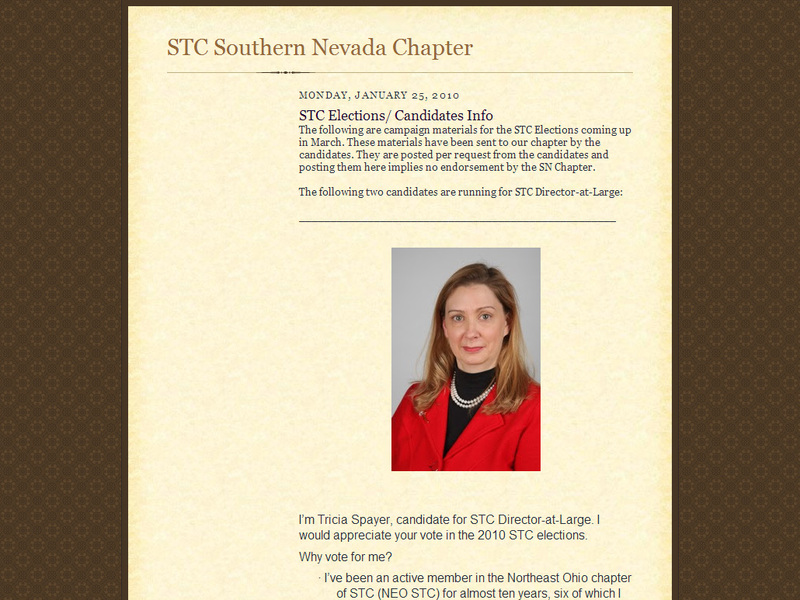 They are posted per request from the candidates and posting them here implies no endorsement by the STC SN Chapter.